Lygeia the Storyteller: Gather 'round ladies, gentlefurres, and furlings of all ages. Hear me now as I tell you of the legends that walk among us, the ancient Elvenfurres who are descending into our midst. 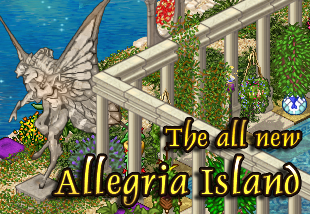 Lygeia the Storyteller: They are coming all at once, as if their secret council has reached some great decision. At first, merely ethereal lamps floating through the woods, or illuminating the prows of filigree-embellished watercraft. Then solemn bands of light-footed furres stepping out of myth into the edges of civilization, horns and antlers adorned with fine jewelry and clothed in fabrics whose like had not been seen in a lifetime. Aestas) Taking a seat the closest she can get to Lygeia, Aestas settles in. Never one for sitting still, her tail waves beside her in excitement. Lygeia the Storyteller: They are the Cerdiere, the elder ones, the Elvenfurres. Exemplars of excellence, pursuers of perfection, the tales speak of impossibly-long lifetimes of personal improvement. Their tight-knit lineages have created some of the greatest works of writing, craftsmanship and personal accomplishment outside of the Primes themselves. Degu is a tiny rodent (degu) fellow, about 3ft tall and very simple clothes that spoke of a life on the streets. A half-empty sack was slung over his shoulder and like many here he'd been drawn to the gathering, curious as to what he'd find there. Early, he managed to get himself a seat at one of the front seats. Lygeia the Storyteller: Soaring cliffside palaces and exquisite villages is where they dwell, beyond the reach of ‘lesser’ furres, beholden to none but Ahroth, their chosen patron Prime. Aestas) Having only heard of the cediere in legends such as these, Aestas longs to meet one someday! It takes everything in her power to keep from calling out and sharing this "fun" fact. Xandr folds their wings neatly and sprawls lazily on a chair, head resting on their second set of arms while the others fold in front. Taking up space seems to come naturally, perhaps to the chagrin of those around them - but at least they seem to be listening intently, antennae flagging every so often. Lygeia the Storyteller: They are arriving now by their own choice, they come to trade, experience, and mingle. Their seclusion -- for now -- is over, bringing crafts, artistry and knowledge thought to have been relegated to the shadows of history. From the unassailable seaside cliffs and forgotten forests beyond the Wylde, they are returning. Kasuria's wayward children, the favorites of Ahroth, will walk the land once more. Kingfisher is a big bumbling blue gryphon. The confused looking bird shoulders its way to a front seat and leans over to push his obnoxious beak into the faces of nearby listeners, not certain why it was here, only knowing that it was drawn to the area. Lygeia the Storyteller: And what's this? Chrysolite listens to the story intently, ears perked up. They'd seen other horned furres in Kasuria, but the elven Cerdiere seemed a different class entirely. Their tail wags intently. Lygeia the Storyteller looks around with a knowing sparkle in her eye at the crowd's confusion as peaceful rays of green light fill the area. Someone lithe, tall, with an arresting presence steps out of the midst of the mist. Notably, there is a rack of antlers upon his head and the vegetation seems to surge with vitality at his hooves. Emerald Flame bows her head to the Prime. Xandr stares, for a second - then dips their antennae dutifully. Chrysolite is astonished at the size of the Prime. Seeing the others bowing in difference, they do the same. Degu falls back in shock as Ahroth steps forward from the mist, pointing up at the creatures head "It's goin to eat us! by the primes it's a monster!" Glaciess' eyes widen, breath held a moment in awe at the form before her. Aestas) Clasping her hands over her muzzle, Aestas does not blink, but supplicates herself. Felorin gazes up at Ahroth's majestic antlers. Glaciess blinks, coming back to herself. Peering around Ahroth at the quivering form of Degu upon the ground, she furrows her brow in disapproval at the odd little furre. Ahroth chuckles, the deepness of his voice, even in laughter, resonating far due to his prominent height, even taller than that of the pillars that towered over the crowd. Kingfisher tilts its head back, dumb, unfocused eyes staring up Ahroth as he steps forward so very close. The gryphon's beak slowly opens "...oy...oy?" Lygeia the Storyteller smiles and cants her head to the Tall One. "Ah, moments before we are to be graced by the hoofed Elvenfurres, look who steps into our gathering!" She turns to the crowd again. "You furres who work with and love the good earth might recognize the face of the great Prime, Ahroth." Safiri's ears perk up in hearing the sound of the chuckle and she grins, feeling a warmth about it. Horned head of the gazelle bows to the Prime. Ahroth smiles at the gathered crowd, returning Lygeia's nod, but his light sets itself up as a barrier between the arriving Cerdiere and the others gathered here. Degu's eyes widen. "Bloomin 'ell... that's a prime?" he looked to the folks next to him then back up. "...woah..." he tugged his rucksack closer, nervous "I aint never seen one of those before..."
Ahroth spreads his arms out commanding attention. His broad reach encompasses the crowd of Cerdiere awaiting behind the barrier of light. He faces the gathered denizens of Kasuria and addresses them, voice rumbling with the warmth of a spring afternoon. Aestas's ears twitch as they detect sounds. Too amazed to lift her head, she remains perpetually bowed. Who can believe it? A prime in the flesh! Xandr exchanges glances with Degu and nods in solidarity. Rare though it is, the bugge seems amused and eager to see what might happen next. Ahroth smiles. "These are my chosen, lightfooted progeny. Full of grace and splendor they are, unlike the unproven Kasurians. What have YOU done to earn the kinship of the Cerdiere? What skills have you to even beg to be their apprentices? They bring you so much: their hoarded techniques and forgotten arts. What do you, ladies and lords of Kasuria, bring to offer them?" Lygeia the Storyteller: We must convince Ahroth that we are worthy to have the Cerdiere Elvenfurres among us! Bring him your masterpieces, speak to him of our accomplishments. Show him the culture and great works of this land that make us worthy to have his favored live among us. Safiri quietly steps up with a large basket full of bright fruits. "I offer them fresh fruits and friendship. I grew these myself and made sure to pick only the best." Gazelle bowed her head once more to the great one as the basket was offered up should he wish to inspect the fruit himself. There were apples, peaches, pears, grapes, oranges, strawberries, raspberries, and blackberries." Degu had never seen anything like Ahroth before and his big, beady eyes stared up at the fantastical prime as he asked for them all to present their culture and their works. The nervous rodent cleared his throat and made his way forward, opening the sack and drawing out a pair of pretty gold bracelets, woven intricately along the band and decorated with green garnet gems. "M-mr, uh, Ahroth- s-sir." he cleared his throat, offering up the golden bracelet (clearly stolen) "I... thi-this is my contribution" he uttered, looking hopeful. Perhaps he'd get an unexpected reward, too. A life of riches? Ahroth squints at the gold bracelet and shakes his head towards the small degu. "The metal of this bracelet was created long ago when I first formed Kasuria. Are you sure this is yours to offer?" He does not at first accept the bracelet. "However, I appreciate your generosity." He watches as the rodent swirls into a Dragon's Breath orb, awaiting the form of the Cerdiere. Chrysolite takes off their collar and places in front of the Prime. On the loops of the collar is a metal bell with horns. On the fabric of the collar are geometric designs harking to another world. A tale of an ancient world-devouring entity with a moon-sized mouth. Who has a special fondness for hoofed and horned creatures big and small. Ahroth's bushy brows loft at the lovely collar. "These patterns swirl as brightly as the Vinca that The Dragon has built. Wonderful!" Taking Safiri's cue, Aestas removes the flower crown from atop her head and presents it to the prime. "S-sir, I made this myself, sir.. from flowers I found around this meadow!" When others brought gold could this possibly suffice? Ahroth's smile warms like that of a slab of rock in the sun, noticing the smaller one's cervid form with a languid blink. "There is nothing more radiant than gathering what nature has built and arranging it into new forms. Thank you." Felorin pulls out a sheet of gold foil origami paper from inside his kimono sleeve, and starts folding it. Kingfisher starts to heave. The bird, already sitting at the prime's hoofs, puffs up and begins to make the most terrible gagging noises. After a moment, the gryphon's beak opens wide and a half eaten fish rockets out of its throat and lands at Ahroth's feet. Looking proud of himself, he looks up at the prime once more. Eat it? Ahroth chuckles deeply. "I'm sure my sister Dahlsea would be very offended to see her schools of children in such a manner. But your gift is an honest one. Thank you, colorful gryphon!" Aestas feels as though her chest will burst from praise! "T-thank you, I would have worked harder on it.. I mean.. if I knew I would meet a prime.." her voice grows quieter and quieter as she speaks. Watching as Ahroth accepts her gift, she only wrinkles her nose slightly as the nearby bird creature regurgitates his lunch. Nice? Kingfisher honks, proud of itself, clearly. Glaciess fans Lilyanna, "Poor dear. Prime's are so overwhelming, eh?" Sashasa made a small cough, still sitting in his place, as if pondering, thinking about something... and then, when a moment of silence happened, the bartender sergal decided to stand up and try to make his way through the mostly taller folk; the five foot tall man had some trouble catching the attention of the unusually tall Prime! "Excuse me, oh, I'm sorry, miss, I, I just need to have a word, with, with kind sir Ahroth over there! Oh, can I go in there? Thank you, uhmm~" He kept on whispering words of apology as he made his way to the front, waiting for an opportunity to speak. Sashasa breathed in, and smiled, rising his head high to look at the much taller Prime. "Kind sir Ahroth! What I would like to mention is, you and your kin are most certainly the origin and source of all the plant life and harvestable crops, but what I would like to note about my and our kin is, we have the ability to combine them into various unexpectedly delicious tastes! As a bartender--" The sergal pulled a white cloth from an object held in his hand, revealing a round, freshly baked pie! " --it is my honor and joy to offer you this, a product of our creativity, patience and, well, tastes!~"
Ahroth accepts the pie after a deep inhale and a fluttering of lashes. "This scent is so aromatic, even an immortal might be tempted to take a nibble!" Ahroth smiles at his children, all of them, furre and elvenfurre alike. He extends his arms wide, his emerald light softening, permeating the air as an embracing shimmer rather than a restraining wall. Degu looks embarassed as Ahroth asks if the bracelet is his to give. He lets out a breath of relief however as he is granted the same gift as the others. He goes quiet to watch. Lilyanna wasn't entirely sure whatdo to,so she conjured up a basket of apples in case ahroth wanted an offering from her. Ahroth lowers his arms again, green magic sprinkling like rain upon the arriving Cerdiere, freeing them to walk among the gathered furres. Lilyanna holds breath in anticipation. Felorin still hasn't finished his origami yet. But he looks up in amazement! Lygeia the Storyteller claps her paws gracefully, canting her head at Ahroth in thanks. Emerald Flame: And they are here! Majas claps his hoofed hands excitedly, making louder than normal clapping sounds -- almost clacks! Ahroth: See here, wise Cerdiere, and listen well. Despite your long lives, there is still more for you to learn in this world. You who have climbed so high now have new heights to discover down among the clever furres and rambunctious ferians. I shall leave you all now, to live in harmony and cooperation. I look forward to the amazing things you will accomplish, together. Glaciess gazes down at herself, "I'm so lithe and graceful... I never thought that would happen. >.>"
Degu waves and looks down at himself "Thank y' kindly!" he says and goes to stand up, immediately tripping over himself and directly onto his face. "...Oof- how y' meant to work these?" Xandr looks down at themself, admiring their gifted form for a moment, then tilts their temporarily-horned head up at Ahroth and offers a grin - impossible though such a smile would be with mandibles, it sits just fine on a cervine face. They'll enjoy it while it lasts. Ril-Gania smiles, clasping her talons together "Everyone looks so beautiful." she noticed how elegant they all were. She envied all of the creatures. Kingfisher peers dumbly around as everyone changes around him. "...Help?" it asks. You get a feeling it has no idea what the word means. 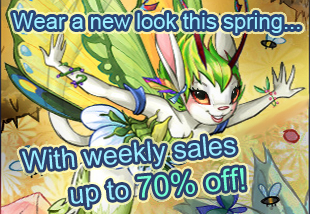 Safiri loves the look and can show off her lovely gazelle form. Lilyanna was so shocked when everyone trasnformed that she fainted again. Jalhen smiled as he looked over his new form, going from a rather short elf to this tall, deerlike creature. It's certainly a new body he'll have to get used to. "I certainly feel a lot taller now." He said with a small chuckle. Aestas watched in awe as the Cerdiere descended upon them. Yes, this was a wonderful opportunity to make new friends! Sashasa gasps, immediately grabs his horns and whines in faux horror! "Ah! How are these going to fit underneath my chef's cap!?! I must adapt my kitchenwear~!" Majas practically guffaws at Sashasa's flailing. Ahroth bows his great, antlered head before retreating back into the misty green light and fading into a warm radiance until he and the green mist disappear altogether.